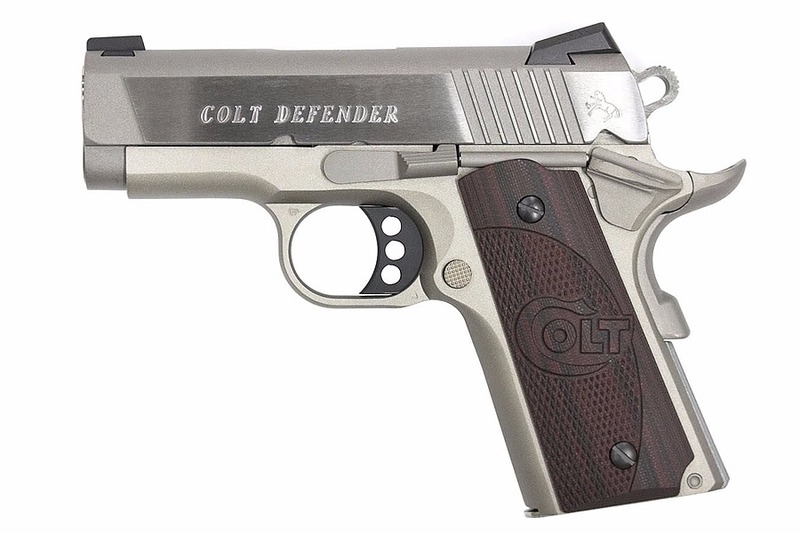 The Colt Defender™ pistol is a carry-ready 1911 in a compact size. 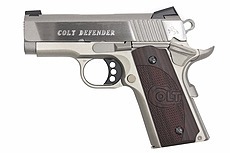 The Lightweight Aluminum Frame is finished in a Matte Stainless Steel finish, topped with a Forged Stainless Steel slide for a pistol that looks as good as it conceals. Tactile G10 Grips and Upswept Beavertail Grip Safety make this small pistol very comfortable to shoot.